SEATTLE — The holidays are a time when there are constant reminders of how much Amazon dominates online shopping — the boxes stacking up on front porches, for example. It’s also when Amazon puffs its chest out to say how big it is becoming in a different and much more profitable market: technology used by businesses. The company’s self-confidence was on display on Wednesday at an annual conference in Las Vegas dedicated to Amazon Web Services, its cloud computing business. Amazon boasted of its leading cloud share, which analysts estimate is more than 44 percent of the market. And it showed a parade of big companies, like Expedia and Walt Disney, that run its software inside Amazon data centers. One of the customers that Amazon revealed, the National Football League, illustrated how cloud computing is moving beyond basic capabilities like online storage. Those abilities first attracted start-ups and large corporations to the concept of renting computing services from an internet company, rather than running it all themselves. The N.F.L. said it would use Amazon’s advanced machine-learning capabilities — software that helps recognize patterns and make predictions — to quickly analyze data captured during games. The data could provide new kinds of statistics for fans and insights that could help coaches. In a phone interview, Michelle McKenna-Doyle, the N.F.L.’s senior vice president of information technology, called the new game analysis it plans to offer using Amazon “instant quarterbacking,” a nod to Monday morning quarterbacking, the traditional postgame discussions fans often hold. Amazon is also becoming an official technology sponsor of the N.F.L.’s next gen stats, as the league’s initiative is called. The N.F.L. and Amazon declined to discuss the financial terms of their relationship. Amazon also said it would begin selling a new camera with machine learning built into it, A.W.S. DeepLens, so software developers can practice with the technology. Amazon said the camera could allow a garage door opener to automatically open when it recognizes a license plate on a car. A.W.S. started as a curious side project for the internet retailer more than a decade ago. It has since mushroomed into one of the most important technology providers. It brought in over $12 billion in revenue for Amazon during the first nine months of the year, up 42 percent from a year earlier. More important, A.W.S. generated almost $3 billion in operating income, an enormous benefit to a company which brings in little to no profit from its retail operations. Amazon has caught most of the industry by surprise with its growth into a cloud computing powerhouse. Two rivals, Microsoft and Google, have shown the most determination to narrow Amazon’s lead. Both competitors are also investing heavily in giving machine-learning capabilities to customers. 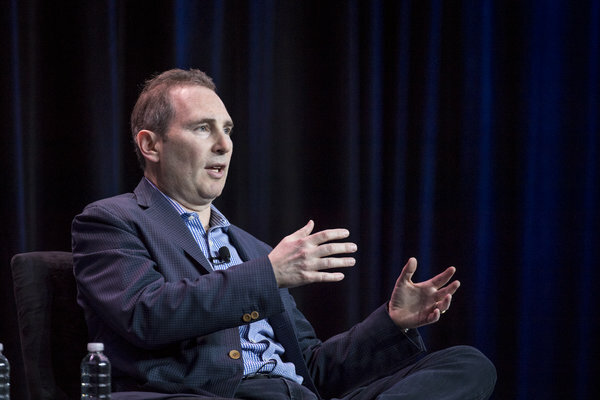 Urs Hölzle, Google’s senior vice president of technical infrastructure, said his company saw the biggest opportunity in winning over the huge numbers of customers who have not yet shifted their computing chores to the cloud, rather than convincing those that have already adopted Amazon’s services to do so. “For us to grow very quickly, we don’t need to steal A.W.S. users,” he said.